A few days ago I noticed that there were mushrooms growing in our front yard. They were brownish in color and grew in clusters on the dead roots of a large oak tree we once had. I decided to pick them to see just how much mushrooms I had. Even though I did not pick all the mushrooms, I still had a grocery bag full of them. Someone suggested that we take them to the naturalists at our local park so that’s what we did the next day. Unfortunately, when we arrived they said that the mushroom expert was no longer there. 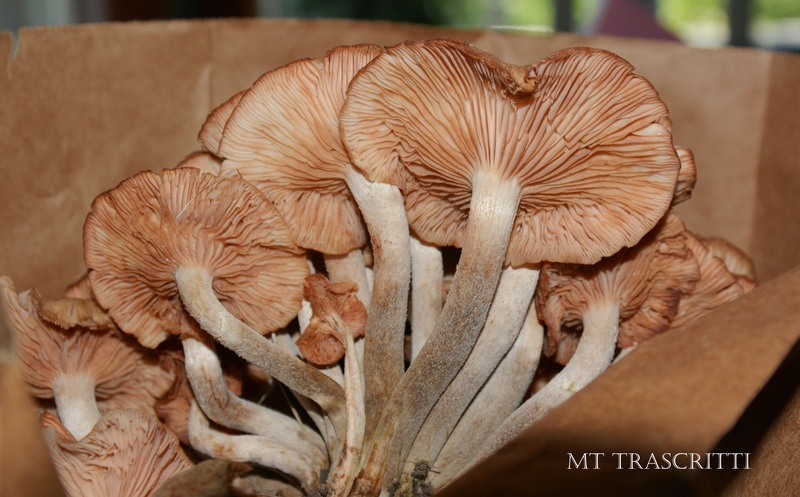 They looked online and in a book then determined that they were probably Honey Mushrooms, but since they were not “experts” they advised us to not eat them because some mushrooms look very similar to one another and it could really be poisonous. 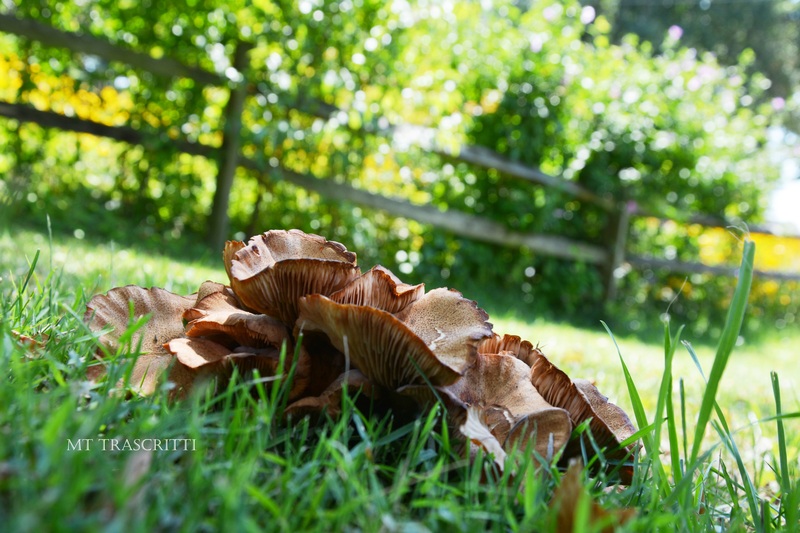 I didn’t want to waste the mushrooms and asked if it would be a good idea to put them in our compost, but they said it would basically grow more mushrooms plus it would release lots of spores and we could get mushrooms on our lawn again and that it might actually harm some of the good trees in our yard. I reluctantly threw them in the trashcan. I really wanted to eat them because then it would mean that their existence had some purpose but since no one could tell if these were “good” mushrooms, then they had to be thrown out. I thought about Revelations 3:15-16, “I know all the things you do, that you are neither hot nor cold. I wish that you were one or the other! But since you are like lukewarm water, neither hot nor cold, I will spit you out of my mouth!” (NLT). “Not everyone who calls out to me, ‘Lord! Lord!’ will enter the Kingdom of Heaven… On judgment day many will say to me, ‘Lord! Lord! We prophesied in your name and cast out demons in your name and performed many miracles in your name.’ But I will reply, ‘I never knew you. Get away from me…’” (Matthew 7:21-23). “Then you will say, ‘But we ate and drank with you, and you taught in our streets.’ And he will reply, ‘I tell you, I don’t know you or where you come from. Get away from me…’” (Luke 13:26-27). I wondered if I was like those mushrooms—that no one can tell I am a “real” Christian. All of us basically look alike—who can really know for sure? I guess that’s why God is the “expert.” Only He really knows the “real” Christians from those who are not. All that matters is His opinion of me. I just want my heart to align with His, and that His thoughts become my thoughts. I want my eyes to see people and events as Jesus would. God, help me to be more like You and less like me. Help me to know that I am really Yours.